Photographer and tinkerer extraordinaire Colin Rich just released an awesome video montage of his Pacific Star II project where he sent a weather balloon up in the atmosphere to take pictures and footage of the trip. "This is the second trip of my home made high altitude weather balloon photography project, Pacific Star. 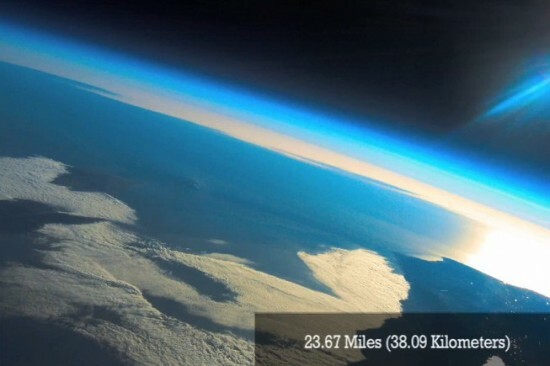 The balloon was launched at 5:37pm (PST) from Oxnard, CA and reached an altitude of 125,000 feet snapping photos and recording video along the way. The balloon burst, the parachute deployed, and the payload floated down for 35 minutes, landing near an old olive orchard Northeast of Santa Paula."